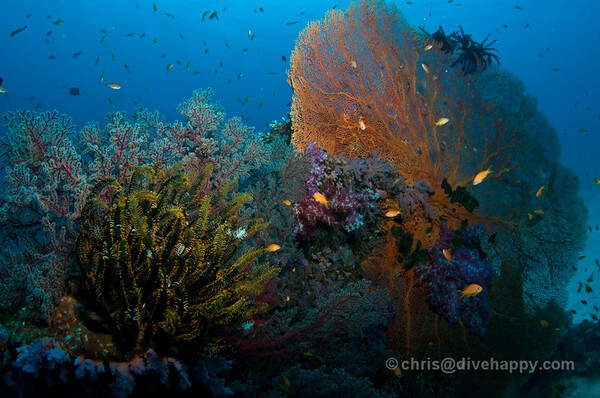 Thailand has so many world class dive sites, it can be difficult deciding which ones to visit. Here’s a quick overview to help you make your choice. For first time visitors to Thailand, it can be a bit confusing about which areas to make sure you dive, particularly as you have to be here at the right time of the year to go diving in some parts of the country. 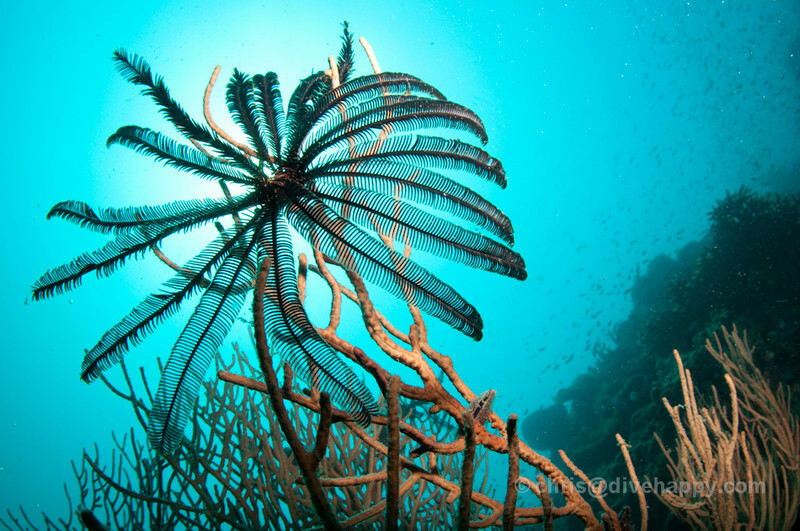 The Similans are renown as one of the best scuba diving destinations in the world. Whale sharks, manta rays, reef sharks, leopard sharks, barracuda, octopus, cuttlefish, lionfish, clownfish – you name it, you’ll probably find it here. The sheer abundance of life out around these remote, uninhabited islands is breathtaking, as is the visibility – 20 metres viz is the norm. Virtually all liveaboards go beyond the Similan Islands proper and take in Koh Bon, a cleaning station for mantas, Koh Tachai and Richelieu Rock, a hot spot for whale sharks. [See my previous post on the best dive sites to see whale sharks in Thailand]. The remoteness of the islands means that most liveaboards typically last 4 days. For some people this is too much time to commit to diving, but I’d say it’s perfect – 4 days on the boat lets you completely relax and do nothing but eat, dive and sleep, with maybe a little sunbathing too. I’ve been to the Similans numerous times since my first visit in 2004. My last Similan islands trip report is here if you want photos and more info about specific dive sites etc. You can also read the article I wrote for Asian Diver magazine about diving in the Similan Islands directly after the December 2004 tsunami. 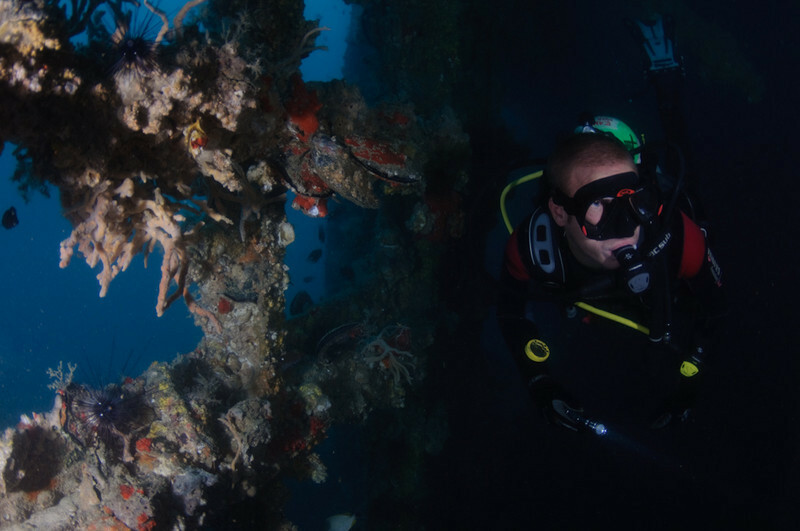 Accessible on day trips from Koh Lanta and to a lesser extent Phuket and Koh Phi Phi, these two dive sites rival anything the Similans have to offer. Koh Haa is a collection of 5 enormous rocks that forms a natural lagoon in the middle of the ocean – and is also a haven for marine life to gather around. There are so many amazing little critturs around here, which an experienced dive guide can point you towards. Hin Daeng and Hin Muang are two pinnacles close to one another and are a manta ray cleaning station. The mantas here are not shy of divers and if you are lucky enough to dive here when they are present, you are in for an unforgettable experience. I wrote a complete report about diving at Koh Haa, Hin Daeng and also Koh Bida Nok which featured what was and probably still is the best dive of my life. Both the Similans and Hin Daeng are only accessible during October to May each year – the rest of the year is monsoon season when conditions are too rough in the Andaman Sea for safe diving (or boat travel, for that matter). The most popular place to learn to dive in all of Asia Pacific, after Cairns in Australia, Koh Tao has some great dive sites and some great apres-dive action. If you want to dive and party, then this is the place to come. The short travel times from the shore to the dive sites – typically half an hour or less – make diving extremely convenient. 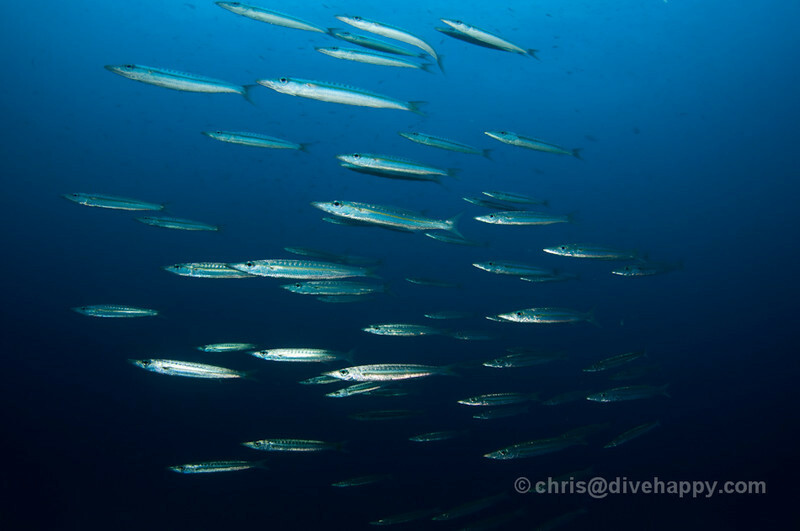 While the diving is not quite as spectacular as the Similans, (no manta rays here), there are some amazing encounters with sharks to be had at Chumphon Pinnacle and also, if you’re very lucky, whale sharks too. Because Koh Tao is in the Gulf Of Thailand, it’s possible to dive all year round. The weather gets a bit crappy around October/November, but it’s pot luck really – last year whale sharks were arriving at Koh Tao during November. I wrote a comprehensive guide to Koh Tao on Divehappy a few weeks ago that runs through learning to dive and also the various dive sites. Pattaya is not somewhere that gets much coverage as a dive destination. Thailand’s second biggest city after Bangkok, Pattaya is a sprawling mix of sun, sea and sand. Visibility is pretty poor and a lot of the coral has been damaged on most sites. However, there is one excellent wreck dive, the Hardeep, which definitely makes diving in Pattaya worthwhile if you’re interested in wreck diving. I wrote about Peter Walker’s documentary about the Hardeep which you can watch online. So there we have it – my top four picks for Thailand diving. There are lots more sites in Southern Thailand I have yet to explore – or even know about – and Koh Chang, also in the Gulf Of Thailand, is meant to be nice with some pleasant diving. But these four are the ones I’ve dived a fair bit myself, and the ones I keep going back to.